Cool, file an issue on github with the crashlog, like everyone else. I did not store the crash report files. 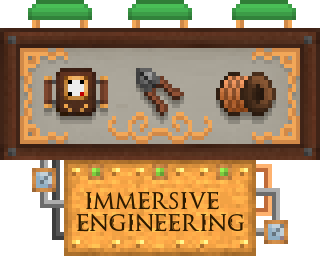 I deleted Immersive Engineering after the second NullPointerException. hm... after update I do not receive damage from wires.... is it issue, or expected? I'd like to be able to use liquid cement to build actively, but unfortunately it dries up too quickly for it to be useful. I'd like to be able to use liquid concrete to build actively, but unfortunately it dries up too quickly for it to be useful. This is just a suggestion maybe add a Drill head that can mine cobalt and ardite from tinkers. How can I edit the stats of the Railgun and Revolver? Like the damage values for different ammo types, and the dropzone of the railgun shot? Damage is adjustable in the config. Other things aren't. how much ram is recommended to have to play the mod? I dunno. Probably 4 GB minimum. Redstoneflux is causing this mod to crash. you know why? No, I don't because you didn't provide a crash report. Arc furnace crash on latest version how do we fix this https://pastebin.com/hSFm7Tk8? should we ban the arc furnace? That's an issue that usually shouldn't pop up unless some world data got corrupted by a crash, or similar. I would recommend just removing that block from the world. File an issue on the tracker, with a crashlog, like everyone else.